Located on Lettes Bay, along the western coast, this gem is secluded. Like very far away secluded, part of a world heritage site, and surrounded by forest, bustling in the summer and quiet in the winter. There's an antique clawfoot tub, a beautiful giant window out to the bay, and a fireplace for reading in front of. You'll want to stay forever, if only just to take it all the perfect decorations. The owner, Sarah Andrews, is an interior designer, writer, and sailor, so you can imagine the place she's made for you. 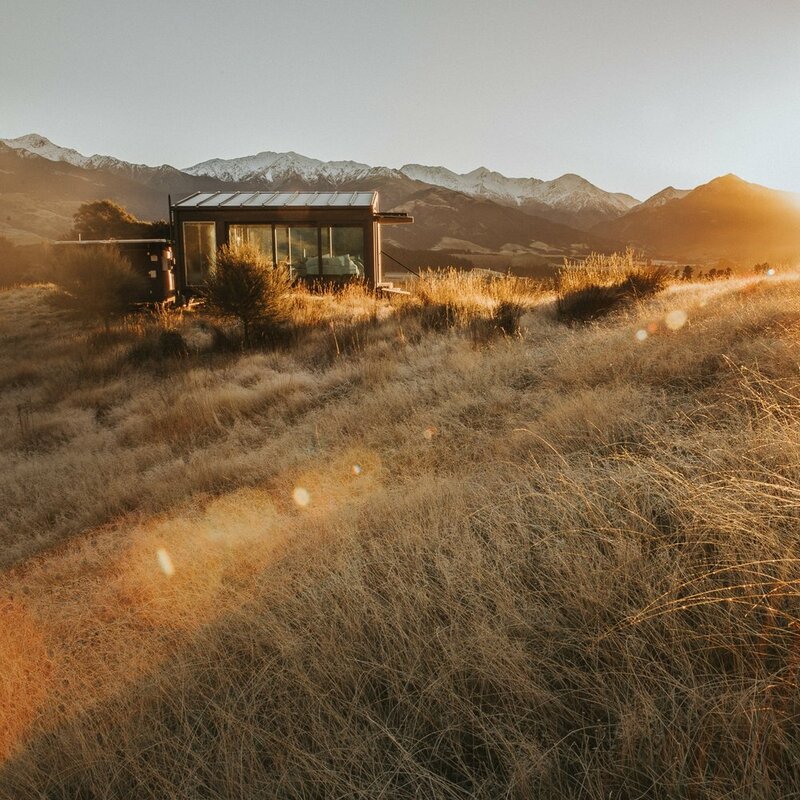 You're in a tiny glass hut, completely surrounded by nature and you can't really get much better than that. These pods run off solar electricity plus they have water and a fridge if you'd like. You can bring food in with you or order from them, and you can be left to your own devices about as much as you'd like. Their goal here is to let you connect with nature so consider it as reclusive as you'd like it. There's a bluetooth speaker, but no other electronics (really), so plan accordingly and make a point to disconnect. Up the Sunshine Coast, not too far from Brisbane, you'll find the township of Maleny, and this little set of three cabins. Firewood and kindling supplied during cooler months, a clawfoot tub, shower, and some serious stargazing await. It's very cozy and technically in a rainforest so you'll want to plan a trip ASAP! Located about an hour north west of Melbourne, you have a choice of The House, The Barn, or The Garden here. Their design is about perfect, with a cozy fire, beautiful linens, lots of thoughtfully sourced old things, and plenty of space. There are three bedrooms in the house. The Barn is for hosting an event, and The Garden is for being charmed. Off-grid with a camp style kitchen and five single beds, this is simple living but in the best possible way. Located in rural South Auckland, you're looking at a wood stove, a lofted sleeping area, a composting toilet, and 15 acres of native forest. This is that a-frame you wish you had as a kid. Located on the edge of stunning Mackerel Beach in NSW Australia, this lovingly restored fisherman's cottage is what seaside cabin dreams are made of. Complete with hand built indoor fireplace, cozy window box seating with ocean views, a gorgeous full kitchen, sunlit bedrooms, a private terrace overlooking a bright blue sea .. you truly couldn't ask for more. With 2 bedrooms, this is an ideal year round getaway for one or two couples or a small family. This is the kind of place you go out of your way to visit, even if that means flying halfway across the world! Surrounded by 99 acres of conservation forest, this is a minimalists dream. Check out the Southern Lights (like the Northern Lights...but in the Southern Hemisphere), enjoy the quiet, and figure it out off-grid. Because of its remoteness, you should hire a 4WD vehicle and pack in your food (there's enough potable water for normal usage). Not too far from Hobart, you've got fairly easy access to the cabin in Alonnah, TAS, via a 20 minute ferry ride.